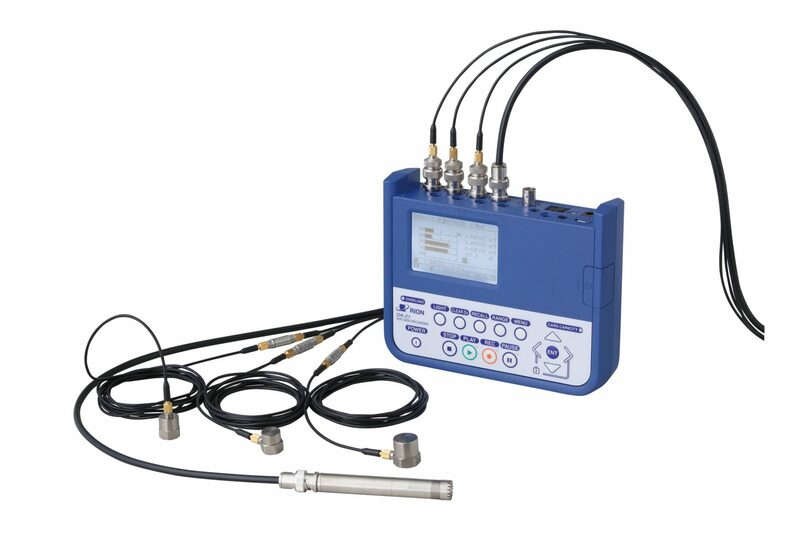 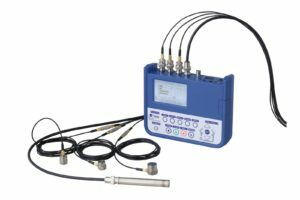 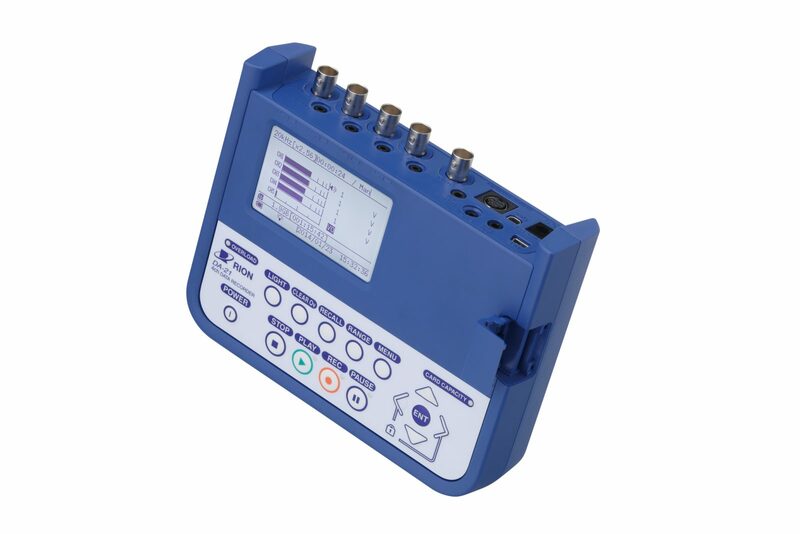 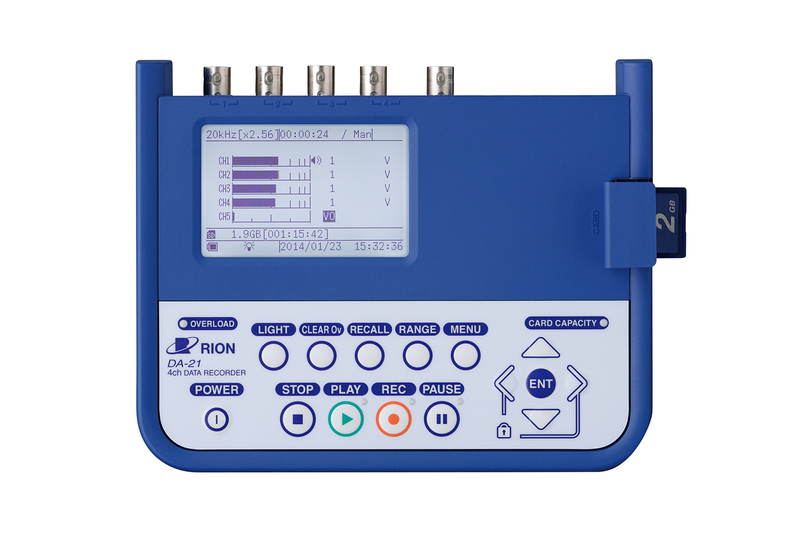 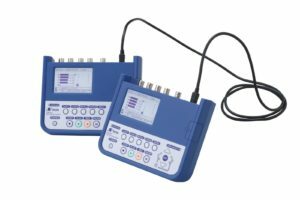 The DA-21 is a compact 4-channel data recorder that provides the user a light weight and high quality instrument to record various types of electronic signals and waveform data for on-site measurement of sound and vibration. 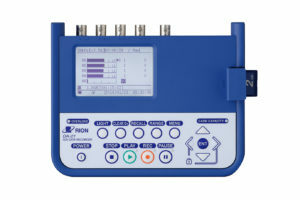 Measured data are stored in WAVE Format on SD cards and stored data can be reproduced as analog signals and output to external signal processing devices for detailed analysis. Two units can be synchronized to provide an 8-channel system.